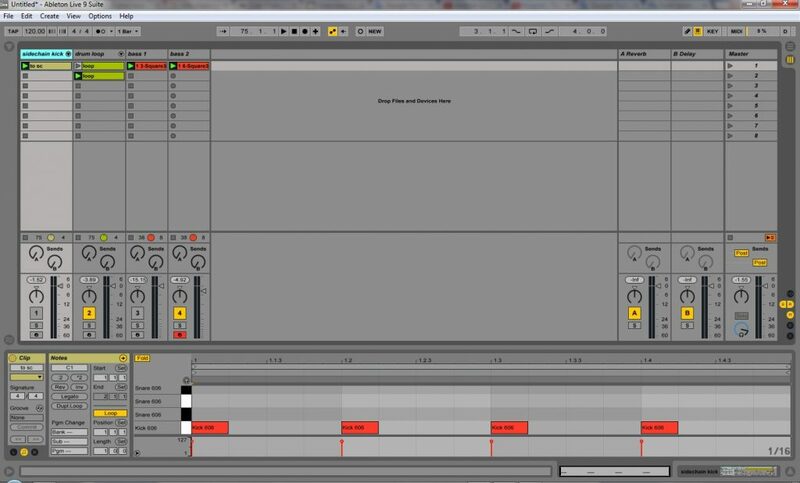 Sidechaining in Ableton Live – Sidechain compression is a very common tool in radio programs or radio advertisement – when the presenter talks over a song, it gets automatically lowered so there’s no need to manually fade down the volume. Sidechain compression it’s also an interesting feature used in EDM production. The main idea is to create a pumping effect in the track. To do that we use a source patch to trigger the sidechain compression (usually a drum kick) and then we link it to any other patch, such as bass or synths. With sidechain compression it’s possible to produce several effects in the track. For example, you can use it when you have a bass sound and a drum kick playing at the same beat. By applying a sidechain compressor you avoid having both sounds ‘fighting’ for the same space in your mix. The result will be a punching kick and a clear bass. 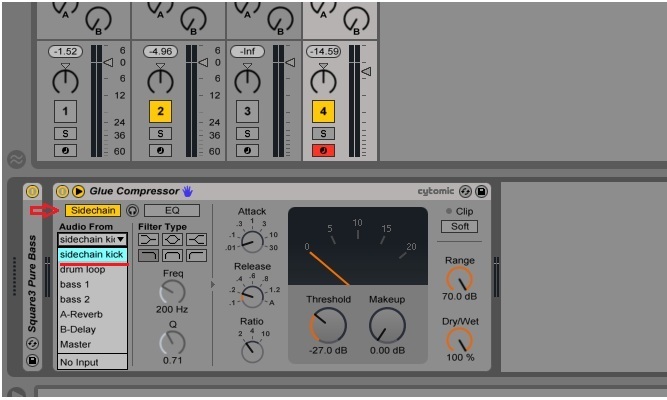 You can also use sidechain compression to create interesting rhythm effects in synths, pads and any other patch. 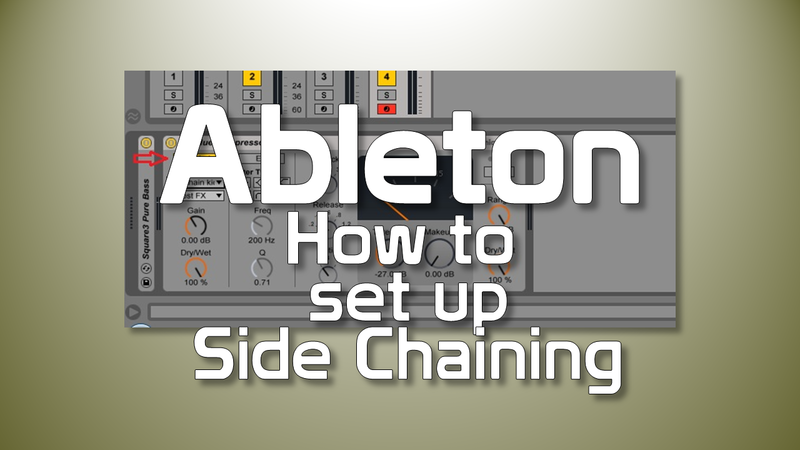 Let’s learn how to use sidechain in Ableton Live. 1) Usually I have a separated track with a drum kick in a 4/4 beat. Yo can even mute this track so that it will be used just to trigger the compressor. Notice that I used a midi instrument to record the drum kick, but you can use a WAV file to do that as well. 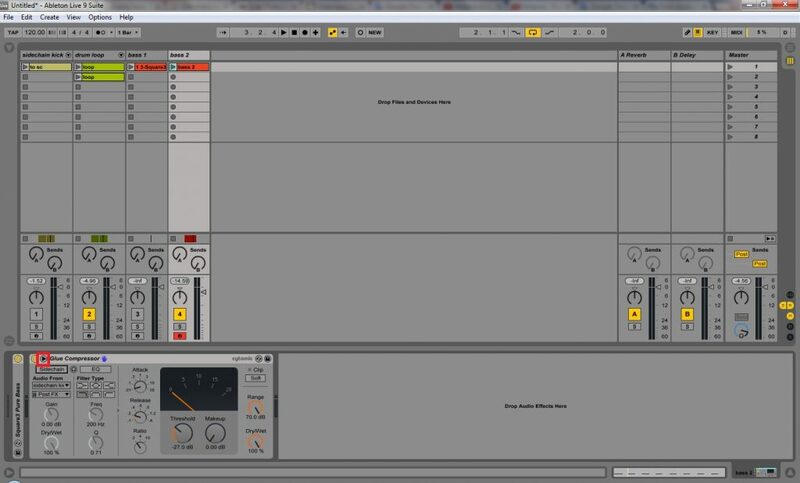 In the picture above I chose the Glue Compressor and opened it in a midi track where there’s a bass loop. This is not a rule; you can use your preferred compressor plugin. That’s it! Now you can set the compressor’s controls to get the results that you want. 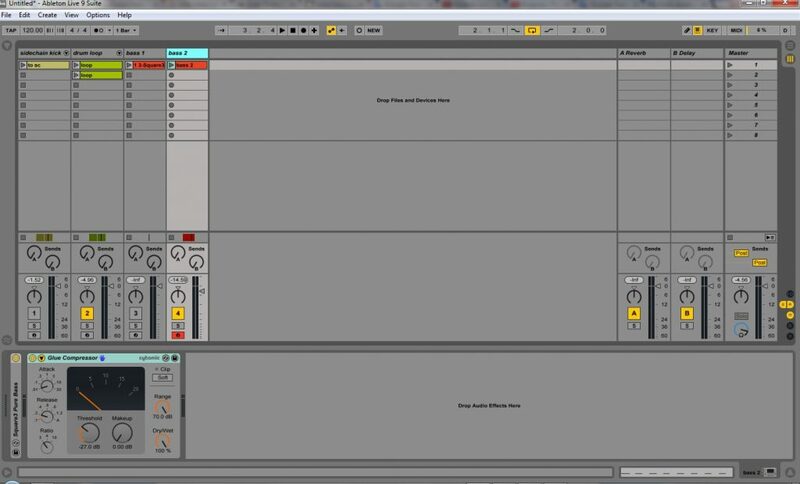 For example, try to set low attack and release parameters to have the kick pumping along with a clear bass sound. Notice that the sidechain kick track won’t be heard in the production. There’s another track where I recorded the drum parts (which is the second track, called ‘drum loop’). 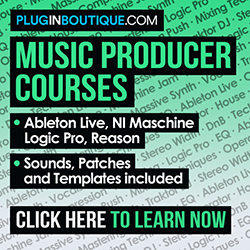 You can try different settings to check how it will sound with pads, leads and synths.